Joe Jackson is mad as hell, and he’s not going to take it anymore! Brian Oxman, the lawyer for Michael Jackson’s father Joe, told the Reuters news agency that the quantity of prescription drugs given to Michael amounts to second-degree murder. “That is Russian roulette, that is loading six bullets into a gun with only six chambers,” Mr Oxmand said. … Mr Oxmand said Michael Jackson had been given Propofol every night for six weeks and said it was “reckless, and it amounts to second-degree murder”. Recently Dr. Conrad Murray pleaded not guilty to charges of involuntary manslaughter; Joe Jackson’s wrongful death suit would be a civil case and run parallel the criminal trial. Whereas the criminal case could mean a jail sentence, the civil lawsuit results in monetary compensation for damages against Dr. Murray. It’s possible that Dr. Murray could be found not guilty in the criminal case, and guilty in the civil suit – remember, that’s what happened to OJ Simpson all those years ago. Earlier this month, California’s attorney general Edmund Brown said Dr Murray should not practise while he faces charges over the performer’s death. Meanwhile, it has been revealed that large quantities of general anaesthetic and dozens of tubes of skin-whitening creams were found in Jackson’s home during searches after his death. The creams are commonly used to treat vitiligo, a skin disease Jackson suffered from that causes patches of skin to lose pigmentation. 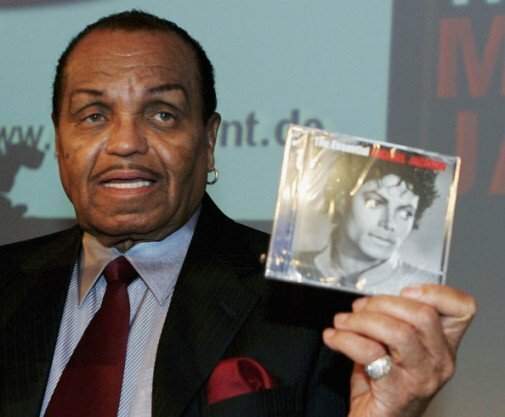 Joe Jackson did all he could to make money off Michael Jackson while he was alive, I’m not at all surprised he’s still trying to do it all these months after MJ’s death. 50 queries in 2.517 seconds.